Which raises another question: Should Australia Day – with all its meaning, cultural symbolism and relevance – even be something Australian brands must or should have a view on? Founder and managing director of independent creative agency International Creative Services, Anne Miles, is inclined to think Australia Day is a topic many people don’t yet know how to respond to. Miles saw MLA’s continued participation in the Australian cultural debate and support for the nation’s multicultural diversity as a step forward that should be applauded. “This is the real Australia and we should be celebrating it every day. Many brands are so out of touch with the real customer in Australia and unconscious bias in the marketing department and agency is to blame,” she said. Which leads to the wider debate: Whether brands should and are in a position to lead societal change and challenge stereotypes, or if they simply follow the undercurrent? Are they trendsetters and makers, or fast followers? Deloitte Creative, Brand and Media lead partner, Adrian Mills, is generally supportive of brand marketers who can leverage a cultural or societal issue to manifest their brand purpose – provided it’s clearly linked to the business strategy. “Brand purpose work done well, that is absolutely genuine and authentic and not a convenient play, is normally good for business. A great example would be last year’s Blood Normal campaign from Bodyform and Libresse. It is work that comes from the heart of the brand and it was the first mover in the space,” he said. Mills is less supportive of Gillette’s #metoo campaign effort, however. “If Gillette was the first brand to challenge current issues of masculinity then it may have received more reward,” he said. “Doing it just because someone else did it doesn’t make you a leader in the argument. This doesn’t mean Mills believes brands must have established credibility in a certain cultural topic before they can try and break a mould. Nor does he see brands picking up on cultural sentiment as a new phenomenon. In the case of Australian identity therefore, “It’s not really a question of if we have the right to comment or not, it’s whether firstly that our message is in the interests of the business; and secondly, if it’s in the interests of the debate,” Mills said. And it’s rise in brands taking up cultural positions that sounds a warning bell for Mills. This doesn’t mean Mills isn’t highly supportive of brand purpose. “At its best, it’s highly motivating, and helps people understand and post-rationalise their behaviour,” he says. “But purpose has been a very misunderstood opportunity for business over an extended period of time. Brand purpose in most cases and in Australian advertising is done very poorly, to point where work seems irrelevant and transparent and there might be a greater opportunity cost than just taking a more traditional approach. What’s more, Mills claimed brands can be part of the conversation and “be loud participants, but I wouldn’t overstate the ability of brands to change the world”. He pointed to Dove’s ‘real beauty’ campaign. In contrast, Ogilvy chief strategy officer, Toby Harrison, firmly believes it’s the marketing and advertising industry’s obligation to do what is right, no matter how unpopular it might be in the boardroom – or a portion of the public. The groundswell behind changing the date for Australia Day should be put in context. According to 2018 survey of 1000 Australian consumers undertaken by Review Partners, 71 per cent saw Australia Day as a culturally important event, and 73 per cent were against changing the date. This figure decreased to 67 per cent once survey respondents were informed of the reasons why changing the date is being proposed. 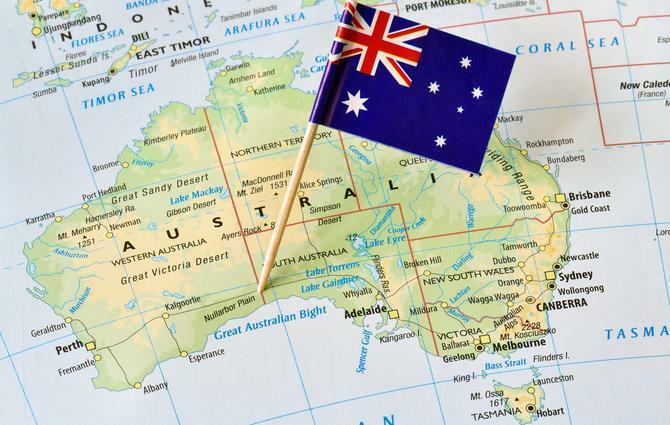 The figures on importance were virtually unchanged from 2017 (71 per cent), even as 93 per cent of respondents recalled the debate about the importance of changing the date of Australia Day. This was up from 85 per cent in 2017. In other words, the majority of the population – at least according to this research - still aren’t backing an Australia Day date change. “That’s a relatively imbalanced topic to attach yourself to for any mass brand,” Initiative Australia chief strategy officer, Sam Geer, pointed out. “However, for a challenger brand with a well-defined target market and brand positioning, there is significant upside to taking a stance,” he said. “For these brands with small market share looking to steal customers from more dominant brands in their category, the risk of being vanilla is greater than the risk of offending people. For Geer, it’s worth noting MLA’s message and purpose is less about Australia Day and more focused on unity, a core brand pillar of the brand’s ongoing marketing approach. While there are definitely brands who can capitalise on the opportunity Australia Day presents, Harrison believed you should only do so if you have something of value to add to the discussion. “For these reasons, examples of brands who are doing it, are thin on the ground. But this shouldn’t be the case,” he said. “Taking a moment to look outside the marketing ‘bubble’, Triple J’s Hottest 100 had been broadcast on Australia day since 1989. Two years ago, the broadcaster changed the date. Two years later, the public has moved on and accepted the decision. And this is because most brands react to culture, but great brands lead it, Harrison said. “So, if you are prepared to enter into the fray of a societal debate, you will need a point of view that takes things in a new and positive direction,” he said. Given well-known brands make the biggest impact, Miles also suggested they have the greatest responsibility to tell the right story and reflect the customer as they truly are. In this vein, she highlighted The Iconic’s 2018 Swim Show, which featured the most diverse range of models on an Australian catwalk in our nation’s history, as a good example of how to progress a debate. So what other lessons does the industry think can be taken on how brands should deal other forms of societal debate? If it makes sense for that brand to have a point a view on culturally significant milestones such as Australia Day then yes, brands should, Hook said. “Whether you make a controversial statement about Australia or not is also linked to your brand. Are you a maverick? Are you irreverent? Can your brand get away with making bold statements? Does it make sense that you have a message around Australia Day,” she asked. Beaumont outlined three ways brands engage in societal debate: Adopt a ‘go big or go home’ philosophy; know your customers; and be true to the brand. “A bold approach and a relentless commitment to embrace the Australia Day controversy in its entirety – unlike other brands – positioned MLA at the centre of a national conversation and it led to great business results. By 2017, average weekly lamb sales were up 21 per cent versus the previous five years,” he said. Huzzard also advises clients to be careful about straying from their true, customer relevant brand purpose. “Enduring brands don’t take fashionable views. They respond to deeply held principles and behave accordingly – they don’t simply join the chorus,” he said. “I have a healthy respect for the average Australian’s BS detector. There may be small groups of people that are influenced by brands taking up social issues but, by and large, I think Australians know that companies are here to make money.